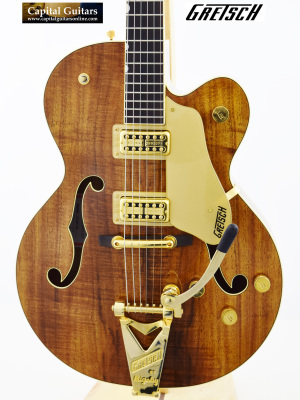 Capital Guitars accepts payment via Paypal, credit card, wire transfer, or bank check. PayPal is recommended as a safe, convenient and expedient way to complete your purchase. 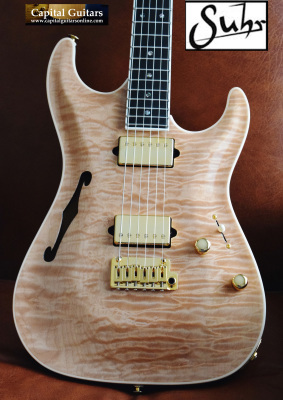 You don't have to have a PayPal account to take advantage of the benefits of PayPal, all you need is a valid credit card and by using PayPal, Capital Guitars never has access to your credit card information. If you would prefer to pay via wire transfer or bank check, just let us know. We typically require payment via wire transfer for international shipments. If you've decided to make a purchase, customers with U.S. shipping addresses can just click the 'Buy Now' button which appears next to each guitar in our inventory to make your payment with your PayPal account or credit card. Just follow the prompts to make your payment. Shipping will be automatically included based on your Zip Code. 2. Be sure to indicate the specific guitar you wish to purchase, the city and state in which you live for shipping purposes and a phone number to be used to facilitate shipping. 3. We will have a PayPal invoice emailed to you which details the item you are purchasing, the shipping cost, terms, etc. 4. Review the emailed PayPal invoice and then follow the prompts to make your payment using your credit card or your PayPal account. Important: We can only ship to the address which appears on your payment. 5. 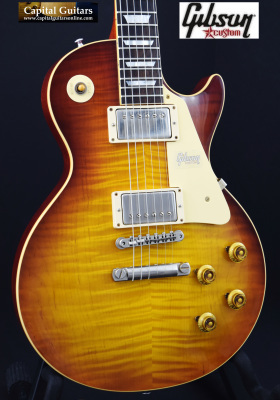 Once PayPal notifies us that your payment has been received, we will package your guitar for shipping and will contact you via email with tracking information and a paid receipt for your purchase. If you would prefer to pay via bank check or wire transfer, just send us an email and we can work out the details. We reserve the right to require payment via wire transfer from international customers. A little short on cash and don't want the guitar of your dreams to slip away? We do layaways! A deposit of 20% holds your guitar for two (2) months with no additional finance charges. For more details, just shoot us an email and we will send you all the details. Shipping to Continental US addresses is via UPS Ground, with flat rate shipping of $60 to Eastern time zones, $70 Central and $80 Mountain/Pacific. Shipping to Alaska and Hawaii is $100. All shipments are fully insured. A phone number at the shipping destination is required. Other shipping services, including express services and international shipping are available at our discretion, just contact us for a quote. Due to the impact of the January 2, 2017 updates to CITES regulations, Capital Guitars is not currently exporting guitars which contain any dalbergia nigra (rosewood) content. Our apologies but the new rules are particularly cumbersome for a small operation like ours. It is our understanding that these restrictions will be lifted to a certain extent sometime during calendar 2019. More information to follow! 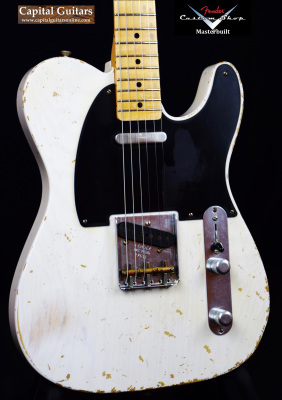 Give us exclusive right to sell your guitar for at least 60 days and if it doesn't sell at the price we have agreed to list it at, we will send it back to you at our expense. Contact us to discuss the details! We love clean, high quality trades. Email [email protected] and indicate which guitar from our inventory you are interested in. Also include photos and a description of the guitar(s) you want to trade and how much of an allowance you are seeking for your trades. We will get back to promptly to let you know if we are interested in your trade proposal. 1) We remove the existing strings be they new or old, so don't bother to put new strings on a guitar you are sending to us. 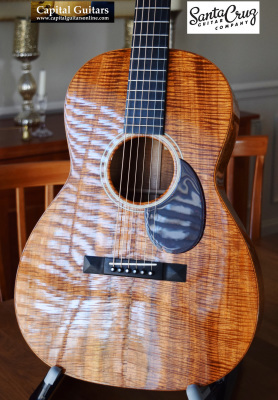 2) we thoroughly clean the guitar and it's case, polish the frets and the hardware, oil the fingerboard, clean any noisy switches and buff out scratches where appropriate (factory distressed instruments excluded of course) and to the extent possible. 3) We restring the guitar with Elixir Nano Lights .10 gauge for electrics and Elixir Phosphor Bronze .12 gauge Lights for acoustics and set it up to our taste (generally low without buzzing). 4) We let the guitar sit over night and then play it for a while the following day to get to know it. 5) We record a brief sound sample to include with the sale listing. 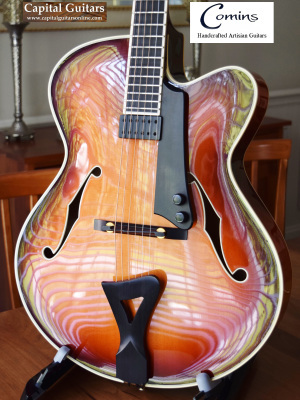 6) We shoot approximately 50 photos of the guitar, under photo lights and a few in natural light and then select the best 30 or so to facilitate the guitar's resale. 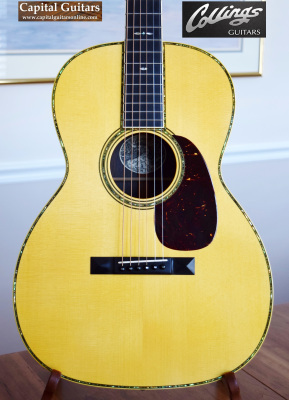 7) Based on what we've learned about the instrument from all of the above processes, we do our best to write a brief narrative which accurately describes the guitar's specifications and unique characteristics. 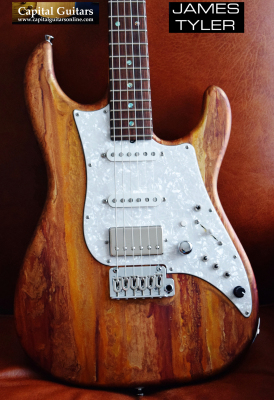 8) We combine the photos, sound sample and narrative into a unique sale listing which we then post to the various platforms that we utilize to advertise the instruments we offer for sale (CapitalGuitarsOnline.com. Reverb.com. Gbase.com, Facebook.com). 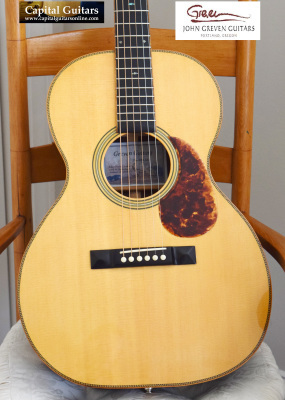 Each guitar takes us the better part of a full day to prepare and list for sale as described above. Please keep these efforts in mind if we don't offer you as much as you think your trade is worth, or if you think our consignment fees are excessive. At my age, time is particularly valuable! Mint: Flawless, no imperfections, as new. Near Mint: Close to new condition, with only the slightest evidence of previous play and/or handling. No significant flaws. Excellent: Great overall condition, but may have a very minor flaw or two or perhaps light fret wear. Very Good: Fully functional but with minor imperfections such as dings, dents and/or buckle rash which will be shown in the listing photos. Good: Fully functional but with more significant flaws which will be shown in the listing photos.